Our first morning in Sydney and we were up very early from the jet lag as usual. We had asked about the nearest bills the night before and were told that there was one not far from the hotel in Darlinghurst. 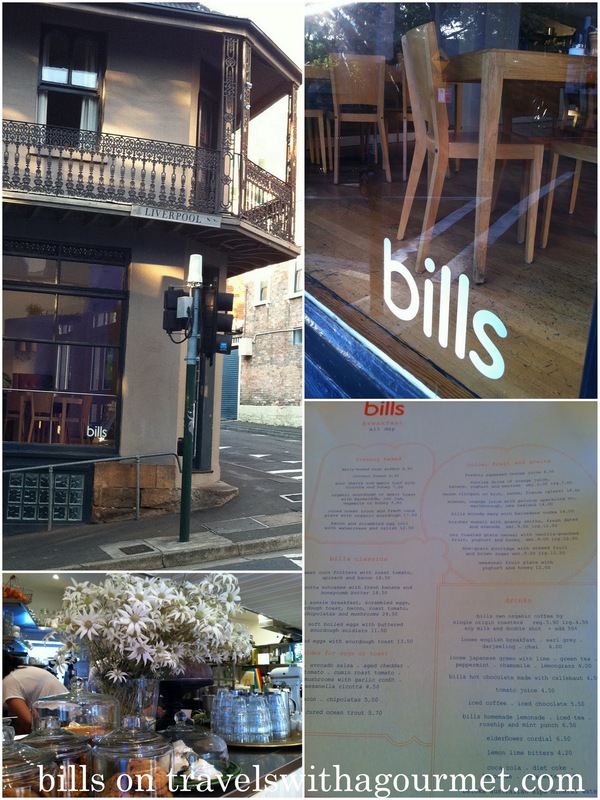 bills is an Australian institution as with the popularity of his cookbooks, Bill Granger, along with the other Australian Donna Hay, have introduced the simple healthy diverse food and lifestyle of Australia to the rest of the world. After watching the clock tick to 6:45, we hopped in a cab and arrived slightly earlier than their opening time of 7:30 a.m. Since they were still setting up, we decided to walk around and admire the Victorian terraced houses around the neighborhood. After about half an hour, we showed up hungry and still they weren’t quite ready but nicely allowed us in with the kids so we could at least have a much-needed coffee. bills is a bright space on the corner of a quaint residential street with wooden floors and a large communal table in the middle. The counter was covered with glass-domed cake servers filled with cookies, muffins, meringues and cakes and a large gleaming chrome espresso machine. A bunch of daisies plopped into a vase was the only decoration aside from all the fresh produce and baked products. Since nothing was open yet, we followed our waiter’s suggestion and walked the long way back to our hotel via Victoria street with it’s Victorian houses then at the end of the road, we took the steep stairs down to the wharf at Woolloomooloo where we saw the preserved docks transformed into a hotel with a fantastic wooden deck running alongside the docks. From there, we walked up another quaint residential area on Bourke street then up towards Hyde park to our hotel. All in all about an hour’s walk and just right after our big breakfast. Unfortunately, that’s all we had time for in Sydney as we left that afternoon for Indonesia. 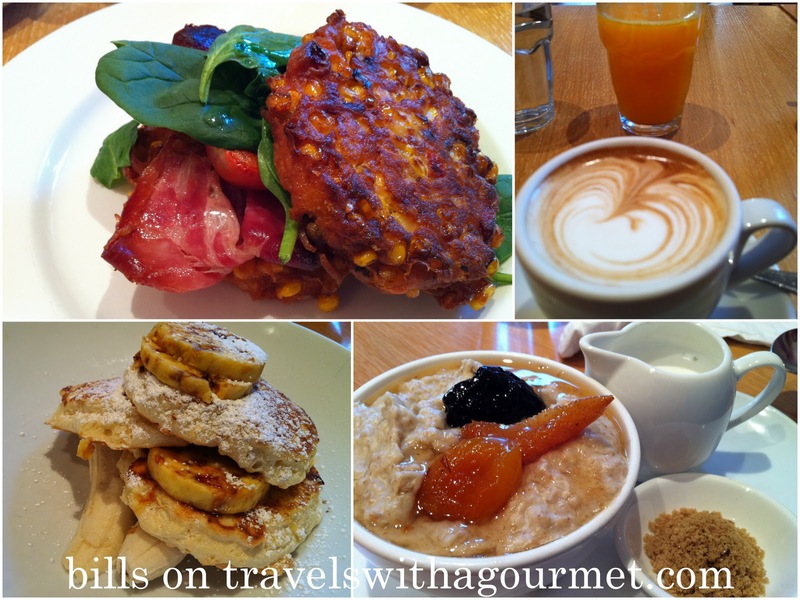 Between dinner at Spice I Am and breakfast at bills, we had a real taste of the diverse cuisines and delicious food that Sydney (as well as Melbourne) is known for. 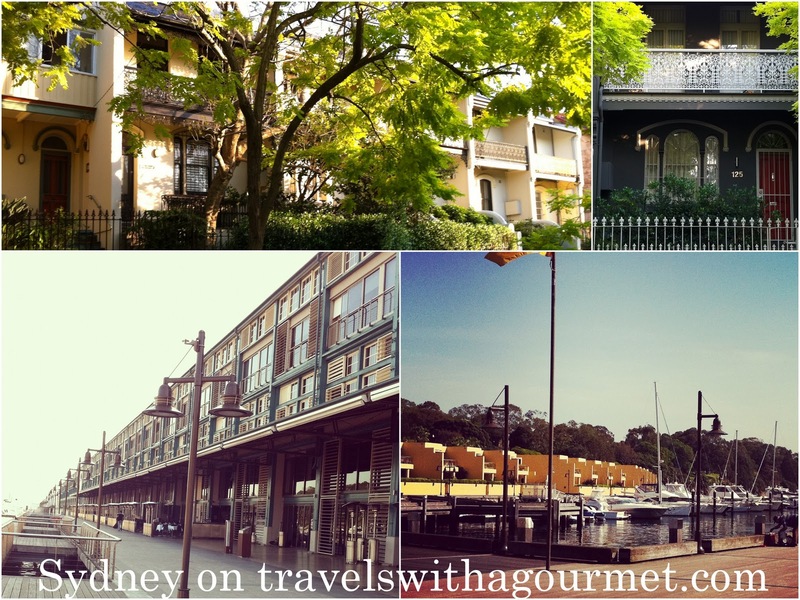 *Newer locations in Woolhara and Surry Hills in Sydney and three more in Japan.